There’s at least one thing that’s fitting about this single having crept out at the end of December 1965, after Christmas and after the year was all but over. If the A-side, the mesmerisingly miserable My World Is Empty Without You, had sent the Supremes into a strange new orbit of darkness and melancholia to a foot-stomping 4/4 beat, this B-side is the perfect partner. 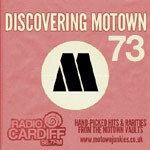 It’s a kind of summing up of everything that had already gone before in the girls’ Motown career, capping the second chapter of their story as well as providing us all with a quick recap of everything that had taken place from their big breakthrough to date. That breakthrough – back in June 1964, when Where Did Our Love Go had cannoned the Supremes into the hearts of an unsuspecting public – feels like ancient history now, much more long ago than the mere 18 months it had actually taken to transform the runts of the Motown litter into the chart-topping global superstars. It seems odd now to try and think back to a time when I was writing the entries for the struggling “no-hit Supremes” in their gawky early phase, always with one eye on the future, knowing what was to come; now, with 1966 just around the corner, I have to keep reminding myself of what the pre-’64 Motown landscape looked and sounded like, without these ladies at the top of the mountain. Everything Is Good About You is no help at all in that regard: this one just drops fully-formed, pretty much an archetypal Supremes record for the education of anyone who last heard the group circa When The Lovelight Starts Shining Through His Eyes, somehow skipped those last 18 months, and wants to know what they’ve missed in the meantime. If you distilled the essence of the Supremes’ unstoppable rise to fame, their remarkable run of singles conquering both charts and hearts, and concentrated that essence into just one song, one song to show to someone and say this, this is what the Supremes are about? That song would probably sound very much like Everything Is Good About You. There’s an irony, I suppose, in a record which so carefully sums up the sound and the effect of all those wonderful Holland-Dozier-Holland/Supremes singles of the past two years, a song which might otherwise have had a pretty good claim to be a definitive (not best, necessarily, though we’ll get onto that in a moment, but definitive) example of the HDH/Supremes oeuvre in the first half of Motown’s mid-Sixties Golden Age, not actually having been written by Holland-Dozier-Holland at all. Certainly, Everything Is Good About You is heavily indebted to a cocktail of all the sweetness and light from any number of great HDH/Supremes hits, without really bringing any of the attendant darkness, and when I first heard it I made two assumptions: one, that it was Holland-Dozier-Holland, because it is practically cut from the same cloth as More Hits by the Supremes, to the extent it sounds like an out-take from that album, and two, that it was Holland-Dozier-Holland shamelessly pastiching themselves. (Honey Boy in particular is an obvious musical inspiration, with plenty of The Only Time I’m Happy and I Hear A Symphony mixed in too.) Not that they’d run out of ideas, or that they wanted to cynically pad out the ballad ballast of the forthcoming I Hear A Symphony LP (above left) with something more reminiscent of the Supremes that young America knew and loved, and had fallen for so very deeply. No, this is a loving homage to the Supremes by the Supremes, just before everyone moved on for good, and it sounds like its writers have fallen for them as deeply as the fans. They wanted to hear more, too; they weren’t ready to move on quite yet, either; but unlike most fans who wanted to hear one more record from the ’65 Supremes, they had the chance to actually make it happen. So to discover it wasn’t actually Holland-Dozier-Holland’s writing at all, but rather a collaboration with an outsider, is first a surprise and then the most natural thing in the world. It’s still a Holland-Dozier production, so of course it has all the hallmarks of everything that we’ve come to look for in a Supremes track, but this time the writing is handled by Eddie Holland (the group’s usual lyricist) and newcomer James Dean, a Hamtramck cousin of the Holland brothers who’d arrived at Motown after a spell in the US Army. We’ve hardly met him here on Motown Junkies so far, but he was an excellent writer, especially when he found his songwriting soulmate in the form of William Weatherspoon, notching several of Motown’s best-loved songs of the mid-Sixties. Here, though, he’s a neophyte being handed the biggest of big breaks: never having been around Hitsville when the Supremes were the laughing stock of the company, only having known them as stars, he’s written a song for the Supremes as he knows them, a song that he thinks would sound good for the Supremes because in his head it sounds like how the Supremes sound. That makes all kinds of sense, because this is never the sort of thing that could have been a big breakthrough hit single – no matter how many times I read it, and I know this is a lot of people’s favourite Supremes record of all, I don’t see this being the sort of thing to sell millions of copies in its own right. It’s beautiful and it’s exceptional, but it’s built on what came before – it’s an absolutely perfect primer for anyone who doesn’t know what the Supremes are about (and there are more of them around now than in previous years; I’ve said before on my radio show that if you like this, you’ll like the 1964-65 Supremes, while if you don’t, you probably won’t), but it’s not the stuff massive breakthrough hits are made of. The Supremes could not have made this record in the spring of 1964 with Berry Gordy’s sword of Damocles hanging over their no-hit heads; Everything Is Good About You is a spectacularly confident record, and they could only have made it after becoming famous, after becoming so comfortable in their own skins that they believe in themselves, in their supreme (Supreme?) ability to melt your heart from fifty paces. Before, they hoped they could land a bullseye like this. Now, they know they’re good. And boy, are they ever good. For a record which shamelessly wears its pink pulsing love hearts on its sleeve, it’s yet another slight surprise to discover this was actually recorded the same day as My World Is Empty Without You, and another surprise which makes perfect sense the more you think about it. All the agony and torment which bubbles under almost every great Supremes track of their imperial phase is missing here – instead, all the long dark night of the soul stuff went into the A-side, and what we’ve got left over here is a triple helping of icing sugar, moulded by many expert hands into exquisite bliss. This could so easily have gone badly wrong, become sickly and treacly and cutesy and just outright irritating, but these are the 1965 Supremes we’re dealing with, perhaps at the all-time height of their powers, and right now they simply don’t make bad records. The Supremes don’t do the happy music/happy lyrics one-two very often, and like the previous example we’ve met here on Motown Junkies, I Hear A Symphony, there’s a kind of relief to be had in hearing Diana Ross play a character who isn’t suffering some kind of torment or turmoil. Instead, any pain is strictly extra-textual and implied only by contrast – this is a song of joy everlasting, a breathless burst of laudatory praise sung by a woman who can’t believe how happy she is. I’ve said before that this kind of double-barrelled celebratory bliss is a powerful weapon, to be used extremely judiciously, and I have to wonder whether the decision to do it again so soon after I Hear A Symphony (both this and the A-side were brand-new recordings, cut less than a month before hitting the stores, the very latest sound of the Supremes) was because the ladies were about to leave the past behind and embark on a new phase of their career, a phase which would bring more success and more landmark monuments but also the inevitable growing up and almost-as-inevitable growing apart. Perhaps this is the last chance we might get to do this again. Let’s do cousin James’ happy song. Let’s have Diana be happy again. Let’s end 1965 on a high. That high lends the record a sense of friendship, of everything being alright forever, all being well in the Supremes camp (even if, in hindsight, it’s impossible not to keep coming back to, well, hindsight) – but this is illusory, just like the record is illusory. “Here are the Supremes, carrying you away on the only fluffy cloud in a clear, blue sky, always” – but actually “the Supremes” as they were marketed, the three smiling Detroit slum girls made good, are hardly on this at all, Flo and Mary used to the bare minimum and mixed so low as to sound like ghosts of echoes. For Motown, “the Supremes” meant something different now: Diana Ross on the mic, Holland-Dozier producing, the Funk Brothers honing and tuning and turning in an ever smoother ride, pulsing crotchet notes and anchoring bass and thudding 4/4 drums and smooth strings. We get them all here, plus a riveting high-octave xylophone part picking out the basic chords like a toy piano over the bassy intro, dainty and yet confident with it, and everything buffed and sanded and polished to a high-gloss shine almost blinding in its reflective, dazzling beauty. That’s what a Supremes record sounds like, and they don’t come any more “Supremes-sounding” than this; it’s a nagging and unexpected development when you realise the level of involvement of the actual Supremes in that process was by now an incidental detail. And yet, it works, doesn’t it? They shouldn’t get away with this. On paper, this record should be twee and exasperating to grisly levels. In fact, it’s an absolute thrill, the best possible approximation of the heart-swelling happiness we found in I Hear A Symphony married to the riveting glide-bounce of Baby Love and a lyric which is impossible to disdain in its puppylike charm, throwing up endless one-line word-pictures telling the listener how great they are, how great it is to be in love – summer in the park, candles in the dark, the works. The verses (which are like choruses) are specific to this relationship (“the short time I’ve been with you / Such happiness I never knew”), while the sort-of-chorus, sort-of-verse refrain (and it’s another incredibly catchy one, obviously) is more generic, more universal, like a hip new version of You’re The Top, full of compliments that would bring colour to anyone’s face. But all the way through, we get the sense Diana’s narrator is struggling to get across just how much in love she is, just what this feels like – early in the song she seems to run out of room, almost tripping headlong into the sort-of-chorus with an unpaired line – full of clover busting out all over, followed by the song suddenly seeming to swell into even brighter colour and set a thousand flowers to spontaneously blossom before we move on. – we’re not doing forensic relationship breakdown dissections here. This is a cartoon relationship, a pick-me-up for lovers everywhere to keep the faith after the relentless emotional pummelling of My World Is Empty Without You, a riposte where for these three minutes, nothing can ever, will ever go wrong, and on with the kissing. Tomorrow can wait. I’m one of the “favourite Supremes record of all” people. I won’t even begin to try to explain why; I’m not sure there is any logic involved. Every time I have heard it – and with no hyperbole involved, that is thousands of times – I’m filled with ineffable joy. One reason that’s clear: Flo and Mary are present, and their microphones are on. The strings are just remarkable. For quite a few years, the opening instrumental segment played every time I logged in on my computer. A magic way to start each day. Such happiness! exguyparis…I can’t believe your posting hasn’t merited a response from folks yet! That version of one of my absolute favorite Supremes song cracked me up! “Buy me a Cadillac, Cadillac, Cadillac…” indeed! It is interesting to me, however, that the beauty of the song itself still stands up to the insipid performance and vapid instrumentation. God bless The Supremes AND the Funk Brothers. LOL. Clicking “Like” seems wrong somehow! The same thing happened with Marvin’s “How Sweet It Is” – hearing a sickly whitebread MOR cover really brings out the twee aspects of the original song and highlights how close to the sappy wind Motown could sail sometimes without capsizing. As Rupert says, though, the intrinsic quality of the song is still buried in there. The description from the uploader though, oh my days. At least it’s a competent effort. For disastrous covers of Motown songs, try the Bobby Vee versions on YouTube. I *definitely* can’t click “like” there, but yes. Shudder. You won’t believe this. I actually like Bobby Vee’s Motown covers. I mean the originals are the best but he does a decent job on them. I like his 2 late 60s albums which contain some pretty good music. Yeah, I can be very strange about what I like or don’t like. Takes all types to make the world – doesn’t it? LOL! In the summer of 1965, when you heard the Lettermen’s vocal version of “Theme from ‘A Summer Place,'” start up, it was as welcome as a rich vanilla ice cream cone on a blistering day. But, much like Carpenters material, that’s the way Lettermen material was best heard, one at time on the radio, bracketed by significantly more muscular rock and roll, the better to prevent sugar or white bread overdose. It was a brief breather between head-bangers like the Stones’ “Satisfaction” and the DC5’s “Catch Us If You Can,” and most other Lettermen singles that managed to the upper half of the top 100 did more or less the same service. “Everything Is Good About You,” however, is simply too magnificent a Supremes outing to ever need anybody else’s spin. For all of the absolutely justifiable exuberance you bring to this review, you’re remarkably fair-minded, as well! Yes, this recording does sound like a skillful distillation of every H-D-H song of the preceding 18 months — especially, the track I Like Everything About You, which went through two iterations by Eddie Holland, then another by The Four Tops — but yes, also one truly doesn’t mind; the result is the buoyant essence of “the Motown Sound” at its absolute best. And whether this recording is heard on its own, as the B-side of My World Is Empty Without You, or whether it is heard as the final summation of the I Hear A Symphony album, it really works. Your observation that this song mirrors the 1934 Cole Porter classic You’re The Top (not Tops) firmly anchors the rightness of the marriage between the “standards” and the Motown sounds that appear on the I Hear A Symphony album. The Motown/Broadway hybrid is one that Eddie Holland would return to again, with, of all people, Norman Whitfield, on The Temptations’ (Loneliness Made Me Realize) It’s You That I Need, another show biz pastiche. It was a breed of music that Berry Gordy, ever-concerned about crossover appeal, endorsed, and there would be many more at least semi-overt examples of the Broadway/Motown mix, such as that found in Diana Ross & The Supremes’ The Happening. One troubling sentence in your review observes: “it’s a nagging and unexpected development when you realise the level of involvement of the actual Supremes in that process was by now an incidental detail.” Of course, the records that came through the Motown assembly line were manufactured in a very calculated, calibrated way, like the recordings that emerged from virtually every label’s studio. But seemingly you are pointing out that The Beatles, The Rolling Stones and others had much more input in creating material than “the actual Supremes” did. Obviously, I understand your point; John, Paul, George, Mick and the others wrote songs and played instruments. However, to suggest that Diana Ross was not a collaborator in the creative process seems unfair. Even when she was not in the room, the writers and musicians consciously crafted their parts around the qualities of her voice, her enunciation, her uncanny ability to convey sincerity and her instinctive dexterity in weaving around and through the textures others brought to the mix. Perhaps Mary and Florence made incidental contributions to the recordings, but Diana was — both directly and indirectly — critically important to the creative process! Right, but that’s not what I said at all. I’m saying the essential formula of a Supremes record by this stage as far as Motown cared (for better or worse) is Diana + band + producers, not Diana + Mary + Flo as the “band” narrative would have it, or even Ladies + HDH as the “svengali” narrative would suggest. That a record can sound like Essence of Supremes while almost completely sidelining two of the actual Supremes is a sign of things to come. I love you so true, yes I do. Now here was the true continuation of the story in “I Hear A Symphony,” at least as emotionally unguarded if not more, and all the more directly spoken to the object of Ross’s ardor. The record epitomizes the engulfing euphoria of being happily and newly in love like few others. It’s an unshakable ‘10’ for me and has been from the first, absolutely tied with “Whisper You Love Me Boy” as my favorite Supremes ‘b’ side, and like it, folded deservedly into the 1967 Greatest Hits set. How much of a “Supremes record” it truly is a matter of great debate, however; if Mary and Florence are notably reduced on “World,” there’s barely a trace of them to be found here. I don’t remember it being much of a ‘b’ as far as radio was concerned either. Hy Lit in Philadelphia favored this record from release giving plenty of play to both sides. He even played it when he did his last show for the station in 1977, a week’s worth of goodbye performances by the station’s recalled signature DJ’s before the call letters WIBG became something else. I screamed out loud when I heard it start up. I love it. I had forgotten about that, Dave. I was living in Cherry Hill and it WAS played frequently… I think on WFIL as well. Back this August I bought the 2011 3-CD set “50th Anniversary The Singles Collection” and luckily before the asking price for still-sealed rose beyond the forty bucks I paid. This is it too. The best version I ever heard on CD. The full equivalent of a virgin Motown 1089 lowering to the table for the first time, the version that made 11 year old Dave lose both muscle control and all decorum. And I confess, at 63, it puddles my eyes that that surrender can be mine again. So crisp and ‘popping’ I’m there again in neighbor Peggy Roy’s basement having just walked the 45 home from the Lehigh Avenue shop. While it plays I can state no criticism of Miss Diana Ross nor tolerate any, and this I warrant is from someone who’s read all the stories. I was just out in the car with the disc – repeating and repeating it – and I just hope the other drivers weren’t worried they were witnessing an epileptic seizure. Steve, I fully agree with your assertion that this could never have been an inaugural hit for the group, and that too it is an homage to the Supremes by the Supremes. But may I also posit that the song additionally represents what we fans, so young, trusting and optimistic wish we could have expressed appreciatively back to them by the end of 1965, had we been gifted voiced angels ourselves. I love you, so true, yes I do. For those who haven’t heard it (which, as I think about it, is probably nobody on this board), here is the extended version of the song from the 2000 box set. Good review and summation of the record and its place in the history of Motown and the Supremes. For me, it’s a 6, or 7 tops. I’ve heard it most of my life and I’ve always thought of it as Symphony done sideways and more subdued. Those of us who have it on vinyl can hear, during the instrumental break, Florence in the background asking someone about a ride home. Unfortunately, that was weeded out for the 2000 box set version. I always thought that Florence (it does sound like her) says ‘That’s wrong’. Could be. It’s been a few years since I last listened to it. This is a “crankout” HDH song, and not done all that memorably in instrumentation nor singing, to my taste. I agree with the “6” to “7” rating, which is still good compared to all Pop songs, but not all that great compared to all Motown recordings. But folks who know me well know that I’m not a big fan of The Supremes, and even less so of Diane Ross. I first heard this song back in the late 60s when I purchased the classic Diana Ross and the Supremes Greatest Hits. I loved all the songs that I had heard as hits but there, seemingly in the middle of all those songs, was a song that I had never heard before. I had never bought a Supremes 45 record, so I didn’t know about Everything Is Good About You as a B-side. I was taken by the beauty of the song even back then. Zip ahead many decades later…my partner of 24 years and I were in our car, driving up to Seattle from Portland OR. I was playing music through the CD player and there were many great songs from the 60s playing. All of a sudden Everything Is Good About You came on and as I sang along…the melody and the lyrics got to me. The elation of the emotions in the song overcame me because I felt all those things for my partner, Scott and I became weepy eyed. I couldn’t believe it. In all the years I had appreciated the song, it had never gotten to me that way. I will never forget it…and now that memory is forever linked to the song every time I hear it. And I love the extended stereo version even more. Given the fact that, for me, everything about the song works on all cylinders and I have the emotional connection to it, I give it a 10/10. The melody of Barry White’s “It May Be Winter Outside (But In My Heart It’s Spring)”, recorded by Felice Taylor and later revived by Love Unlimited, greatly resembles “Everything Is Good About You”. Finally heard both versions of “Winter” and YES it sounds very much like “Everything Is Good About You”. When I first heard this, back in Feb 1966, I was immediately captivated by the beautiful melody, and to this day I would still rate it as one of my all time favorite melodies. However, this is no ‘My world is empty without you’, this a much more straightforward and simpler melody, but nevertheless it is absolutely gorgeous. Lyric wise, however, this is very much inferior to MWIEWY, this is back to the teenage type lyric with clichéd lines like ‘Sunshine after the storm’ , ‘when I’m cold you keep me warm’, ‘when things go wrong you make them right’, etc. The sort of dedication you might find on a birthday card to a loved one. However, in the context of the song they’re acceptable and in a funny way rather touching. I’d give this another 10/10, but that’s for the melody and production/arrangement which is quite unbelievably attractive. Only 4/10 for the lyrics, though. Hmm! I remember hearing this for the first time on the Supremes (Blue) Greatest Hits package at the age of 11. I remember not liking the song back then – thinking it was too “old fashion”. Over the years, the song has grown on me. It is a very pleasant song but not one I would listen to repeatedly. Interesting that the Lettermen did a version of it in the early 70s. I find the lyrics to be a one size fits all — in other words, you can sing it to your spouse or boy/girlfriend, but I could also see it as a gospel song about the good Lord. Also, with some lyrical tweaking, you could almost sing it to your close, non-romantic buddy! I could also see a mother singing it to her child or infant (again with some lyrical tweaking!) It almost has a lullaby like feel to it. For some reason, I thought people wouldn’t care muh for this song. Again, to me — it is very nice, but not a desert island favorite. Glad this song has blessed so many people! Very thoughtful review, Nixon. Dave L., I lived in the Philly area for years and remember WFIL and WIBG and later WOGL until 2005 or so. To exguyparis, I was raised ( early sixties to 1979 ) in Cherry Hill. I too heard this on these stations . WFIL used to print out their top 500 on different holidays and “everything” was always on it. Jerry Blavitt ( a famous Philadelphia DJ ) used to play it often at his club Memories. WOGL made “Everything” the #1 song on the top 500 July 4th weekend. countdown sometime in the 90’s, It was definitly a popular favorite. It has always been a favorite of mine. I just got tired of always hearing “Baby Love” or “Stop!” in those days. I prefer the 45 version or digitally remastered version to the BLUE “Greatest Hits” version. By the way, that album cover, the 2 record set , is the most beautiful and elegant cover I’ve ever seen — great painting. This album mix had the background too forward and the o-o-o-s from Flo and Mary sounded a bit off. Thanks exguyparis for the extended cut. It could have gone on and on and on for me. Do you guys remember Hy Litt’s Motown Mondays on WOGL. One of my luckiest vinyl catches in the last five years was Supremes Greatest Hits (Motown 663) in mono. In the U.S., up to 1967, mono versions of popular albums were typically a dollar less than the stereo version. We didn’t know it was a phase-out that was happening, but the first step, in the summer of 1967, was raising the mono price to the equal of the stereo. Sgt. Pepper, Supremes Sing Rogers & Hart, Four Tops Reach Out and Temptations With A Lot O’ Soul were among the last things, if you hurried, you could get at the $1 cheaper price. By the time Supremes Greatest Hits came out in August, most everyone was opting for the stereo if you had to pay the same money anyway. (It had to come out in August, because it was the kiss-off release to Florence Ballard too, whom Motown was overnight eager to forget.) So I figure the mono run of it was ceased by no later than the start of ’68, and it took a long wait and much luck for me to find one at all. ( I haven’t yet seen another on eBay since.) The three art posters weren’t in it, but I have them anyway, and what’s important, the cover and vinyl condition truly were near-mint as promised. It was a steal at just under fifty dollars. It joins three existing stereo copies and I certainly mean to treasure it. Now, I’m intrigued about landing myself the British, one-disc version that omits four b-sides, eight cuts to a side. My feelings about this one has always been: its too strong to be considered just album filler. Its way too interesting to be considered jst a b-side. But its not strong enough to be an a-side (not a million-selling one anyway). It might not be fair to compare it to anything thats ever been done before by the Supremes. Its like a stand-alone building trying to fit into a set of row-houses if that makes any sense. Anyway, it gets extra points for instant replayability—-over and over! I’ve had a stereo copy of the 2-LP Supremes Greatest Hits for many years and never really paid much attention to this one until about a year ago. Since then it creeps into my head quite often. I’d give it a 7. The part that finally jumped out and grabbed me was the “full of clover bustin’ out all over” line, which I originally heard as (and sometimes still hear as) “four-leaf clover.” Either way, it’s probably one of my favorite lyrics from Motown thus far. It’s interesting hearing this song in the context of TCMS, since the Frank Wilson song we’re about to meet is essentially a variation on the same lyrical theme heard here. The Supremes version for the “pop” crowd, Frank Wilson’s version for the more “soulful” crowd. The endings of both songs’ choruses are almost identical too – listen to them back to back and you’ll probably hear it too. Do you know, I’d never heard it as “four leaf clover” before, but that’s certainly plausible – I wonder if it’s me who’s been hearing it wrong all this time? The next entry is going to be the longest I’ve ever written, by some distance, and it’s taking me a while to work it into shape. Thanks for your patience, everyone – this really, really should be the last time this happens (the next few afterwards are already written and ready to go). 2014 has been very slow, thanks to radio, children and work – we’ll try and catch up in 2015! …And so the anticipation grows. This had better be worth the wait!!! Some sad news … I just heard that Jimmy Ruffin passed away. My prayers go to his family, loved ones & fans! We’ve also lost Frances Nero on 28 November. I’m months late, so what could I say that hasn’t already been said? First and foremost wow Nixon really surprised, yet delighted you gave this track a faster tempo “I Hear A Symphony” in my opinion a 9. It is a great song, but I think it would have been a huge hit for the Supremes because 1) they were the best group out at the time riding the wave and starting the peak of their success 2) for that reason the listening public would have ate it up. Well, friends I did it again :O .
I’m the last fellow who needs another copy of the blue-cover, 1967 “Supremes Greatest Hits.” In fact, counting CD form, this makes two additional copies this year. But I’ve always been fascinated by the one-disc, 16 track version that went in Great Britain and other areas. To squeeze 16 of the 20 tracks the U.S. version contains, it drops the b-sides “Standing At The Crossroads Of Love,” “Ask Any Girl,” “Everything Is Good About You” (that one hurts) and “There’s No Stopping Us Now.” It also lifts out “Run Run Run” to fit in “Reflections” which American buyers didn’t get till the next studio album in April 1968. Our Brit cousins, however, did without the gatefold package, Carol Channing’s liner notes, and the beautiful color drawings of Florence, Diana and Mary. Promised in “Very Good +” condition and only $10, it’s exactly that. I’ve examined it closely and there’s not a mark on it. Better still, it’s mono. (From London to Virginia in nine days despite a U.S. national holiday ain’t bad, either 🙂 ) In fact, I have to say I’m impressed with my own luck. There’s been no instance yet where I’ve chanced mail order purchase of used vinyl and been disappointed once the item was in my hands. Often, they’ve exceeded my hopes. To all those who like this song, I would recommand Barbara McNair’s version. It has a tempo a bit slower and a more ”classical” orchestration, which makes it almost a ”middle-of-the-road” torch song with a kind of strange beauty. The Supremes never did a ‘bad’ record, but I tend to skip over most of the tracks on the “Symphony” LP. Too much MOR. I agree. I like Motown to sound like Motown.